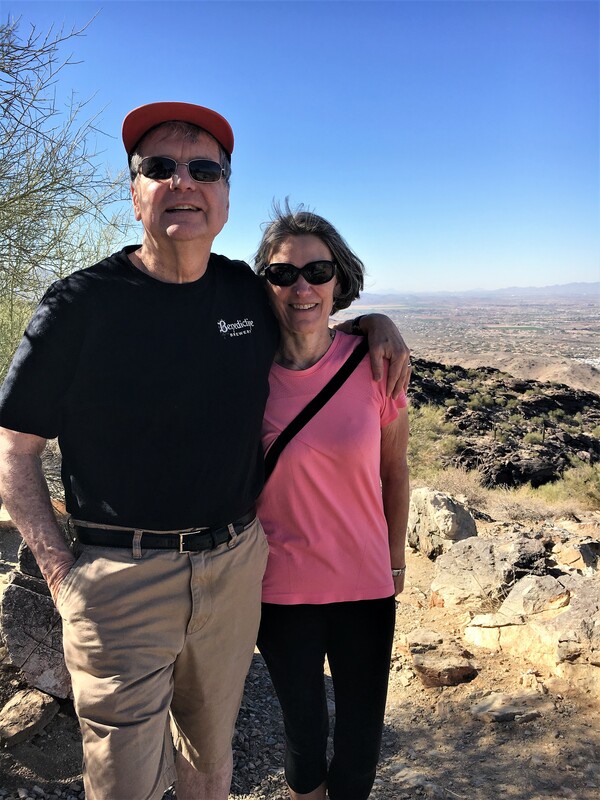 The initial post in this series, chronicled the first part of our week-long trip to Phoenix/Scottsdale in January. 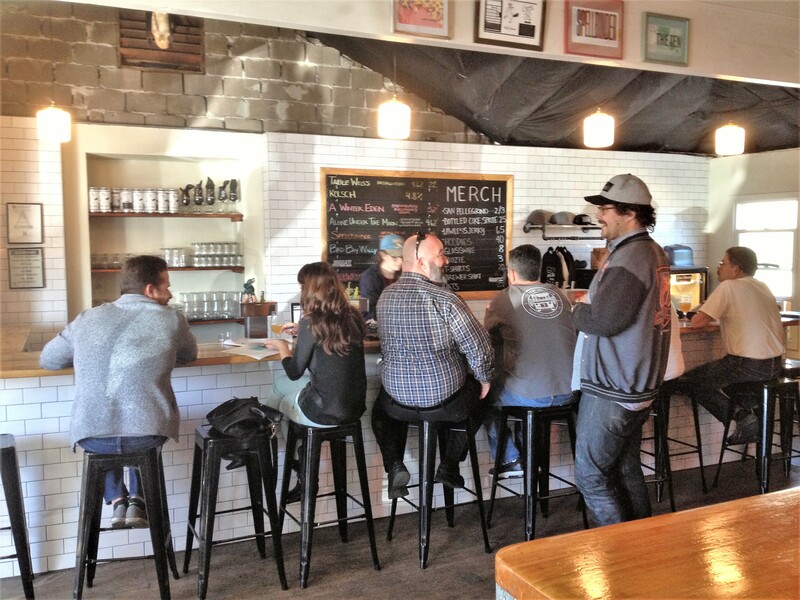 Along with hiking and relaxing, we hit eleven breweries during the trip. 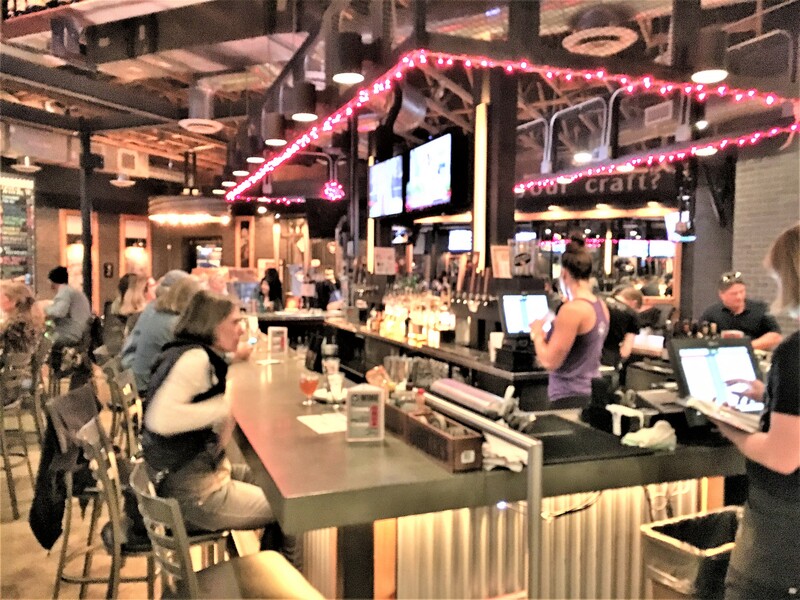 Arizona has stepped up its beer culture and the establishments were interesting, the people cordial and the beer very good although for the most part, the exteriors were largely a reflection of the strip-mall ambiance of this SW desert metropolis. If one can handle the traffic and the visual blight from the sprawl, there is some nice weather if one hits Phoenix at the right time. We did escape a week of rain in the Northwest. Unfortunately, this year, we weren’t able to make it during Spring Training – something even marginal baseball fans tend to love. Although the retired Air Force General had some strong beliefs on national defense that some thought too militant, he was admired for his integrity and service to his country. 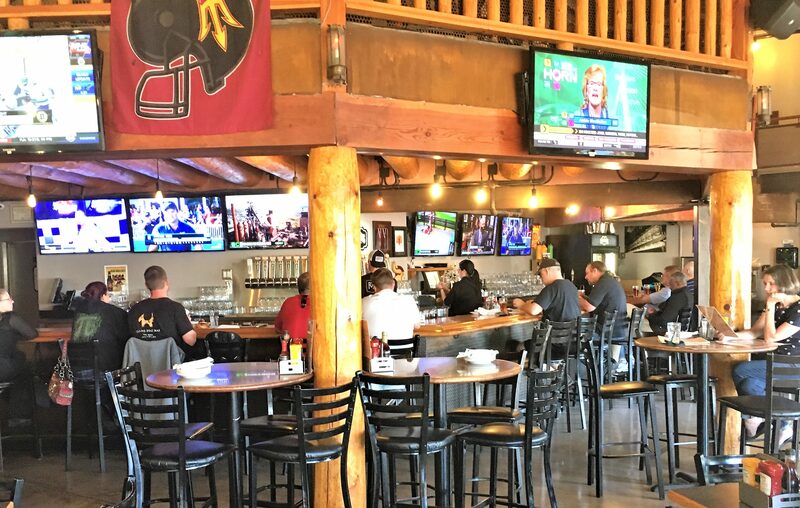 But since this is a blog about bars, taverns, breweries and beer, let’s get back to the primary topic and leave comments about Arizona politics to the end of this narrative. The woman with the laptop is second from the left. 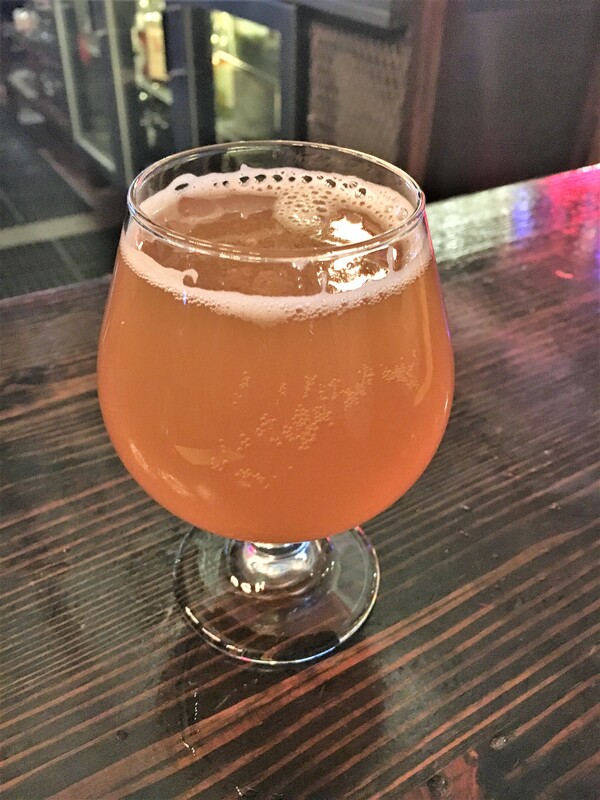 Janet and I sat at the nice bar, which filled up in the late afternoon and shared a Wrenovation IPA – a good hoppy IPA with some citrus flavor. 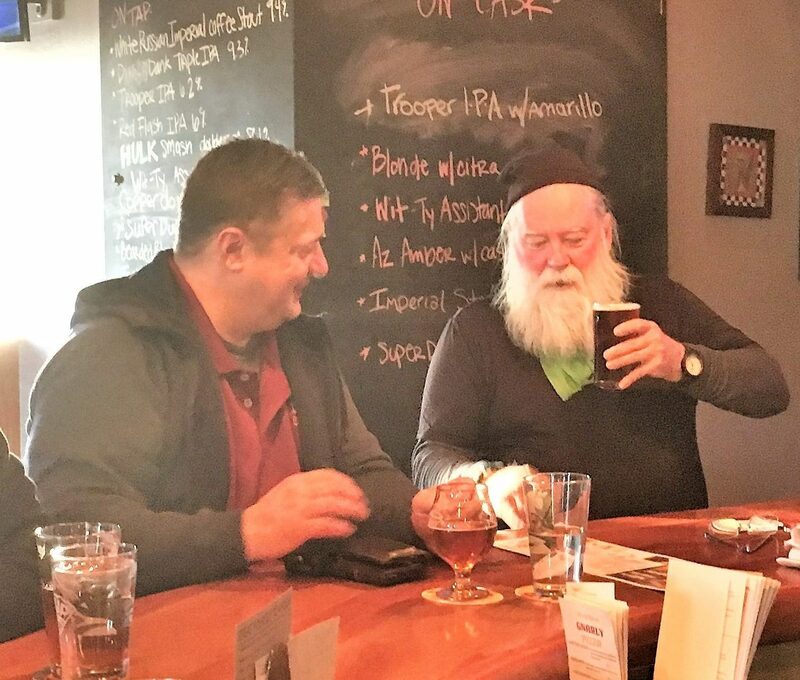 The people at the bar were all conversing and a young woman who brought in her laptop and was doing some work while having a beer, joined the conversation. Of course, I told her that Thebeerchaser’s OCHS 50th high school reunion was held two months later. 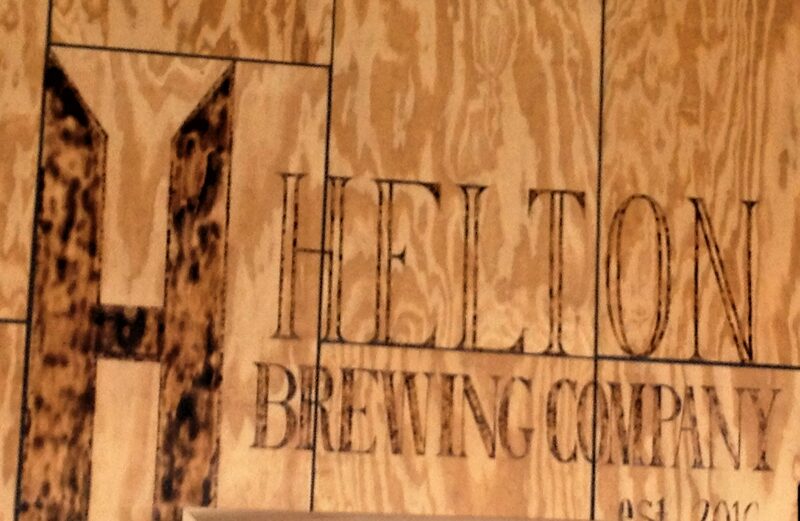 Helton Brewing describes itself as “Your Neighborhood Brewery” although that seems contradicted to some extent by the fact that it is in a totally commercial and industrial area and located in a 10,000 square foot warehouse – formerly a radial tire operation. 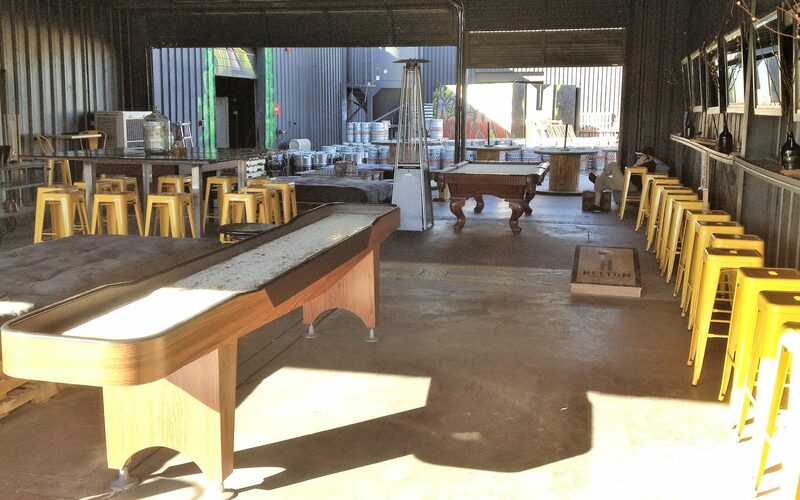 The brewery and taphouse opened in 2016 and has expansive space adjoining the bar area for events and which houses pool tables and shuffleboard. We split their flagship beer – the Scottish Ale. 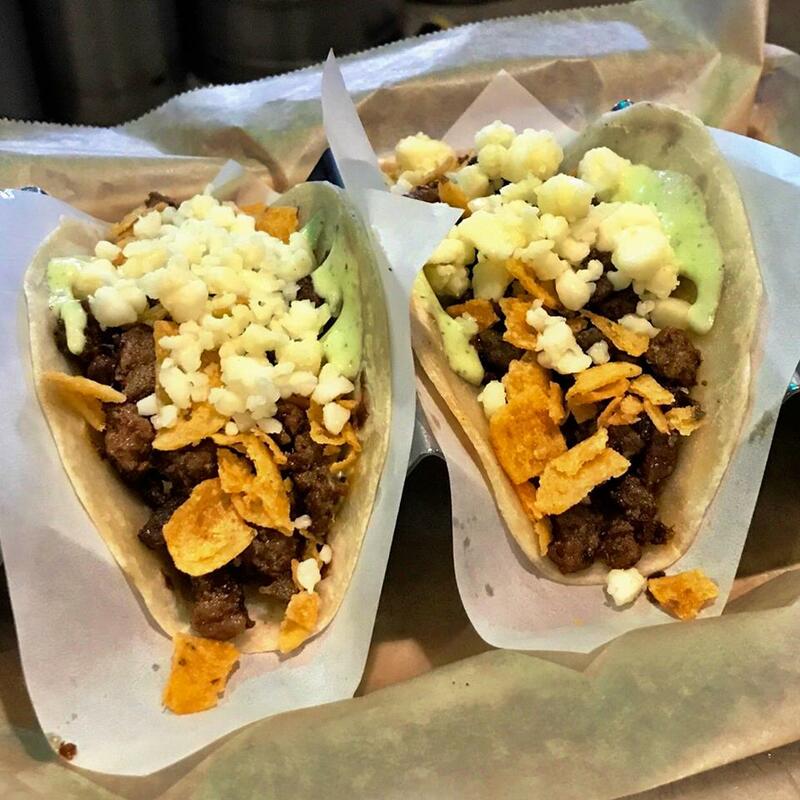 Since we had already had lunch, we did not ascertain whether their assertion that “It pairs well with robust foods like lamb, gruyere and beets,” was accurate. 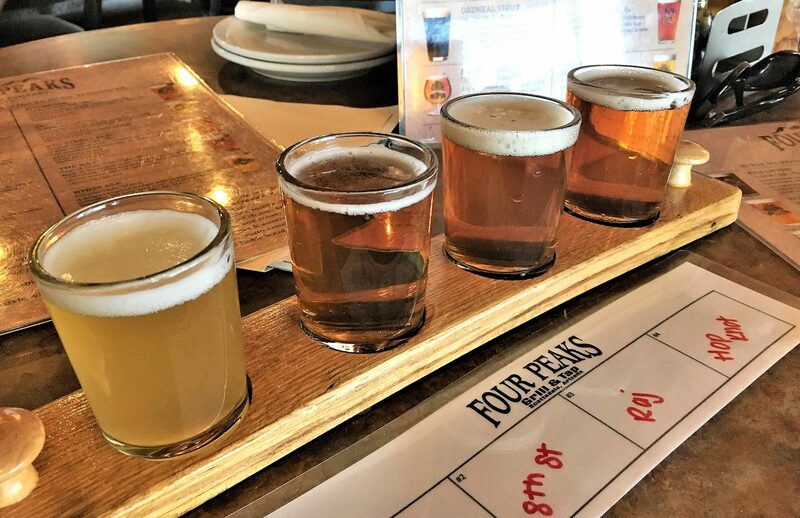 That said it was a good ale and the owner, Brian Helton, has an extensive background in brewing and according to Draft Magazine, has won several Great American Beer Festival awards when he brewed at Rock Bottom Brewing. 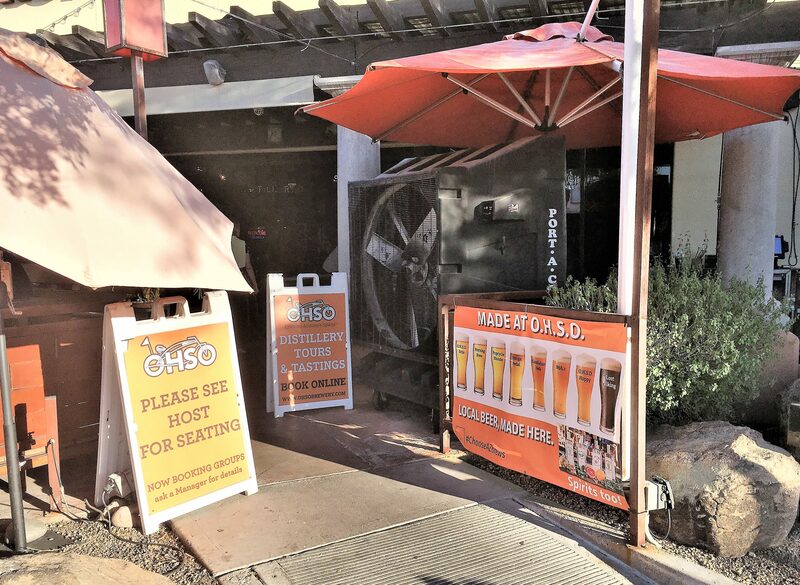 Other breweries we hit included the larger Scottsdale Beer Company and OHSO – the latter also has a brew-pub at the Phoenix Airport. 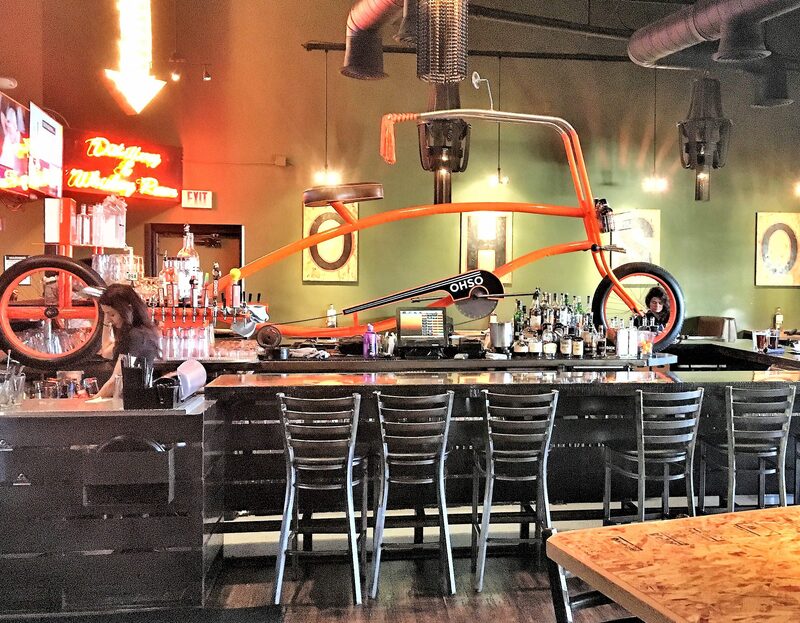 Scottsdale Beer Company was hopping on a Monday night when we stopped in for beer and dinner. 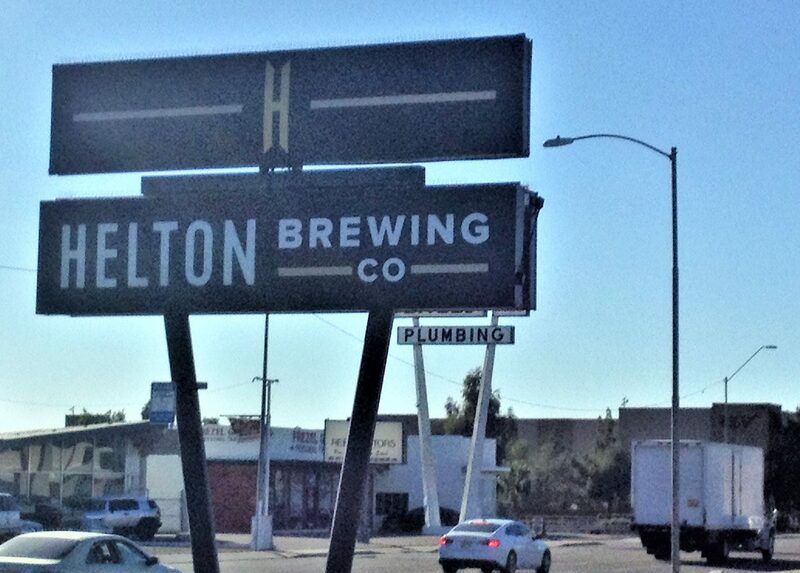 We headed there after reading some great social media reviews on both their beer, the food and their large patio. 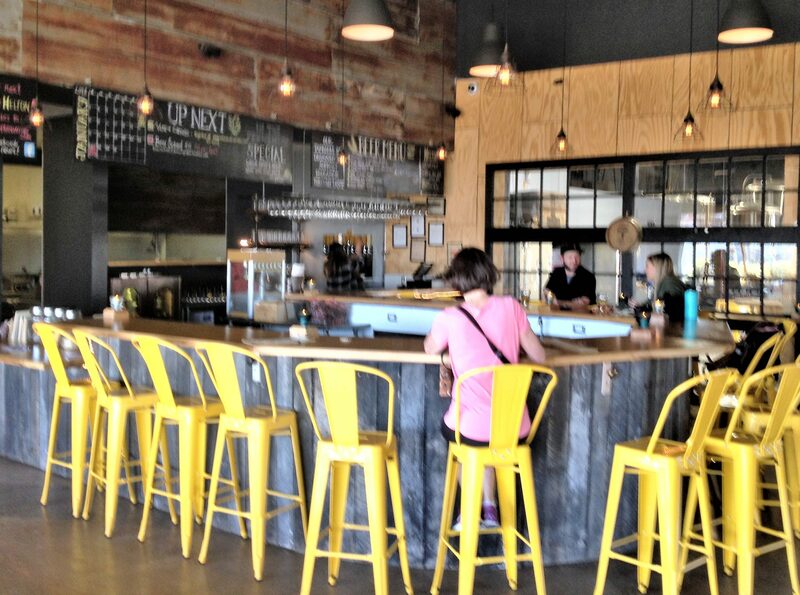 The next day we stopped into Four Peaks Brewing – a large brewery in Tempe with a Taphouse and Grill in Scottsdale. 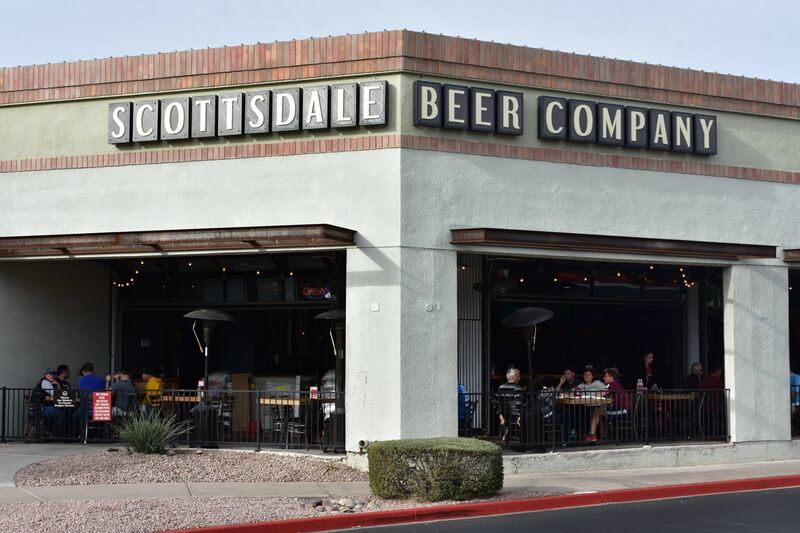 Nothing really special on the Scottsdale Brewpub – again in a strip mall (the address was 1340 E 8th Street #104) but we had a good flight of their beer. One of the four was creatively named Kilt Lifter – a robust Scottish Ale. Only one minute away by Google Maps and past a Home Depot, Safeway, Staples, Target and a mini-warehouse was OHSO Brewing and Distillery (“Outrageous Homebrewer’s Social Outpost” ) – I did not ask why the apostrophe was before the “s” since that would mean only one person hung out there…. 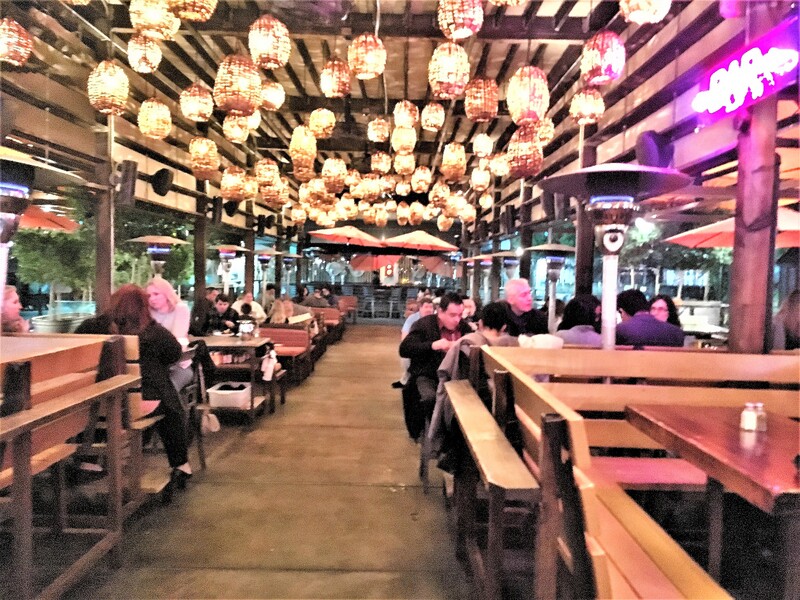 They also had a very large and brightly-lit patio area and a game room. 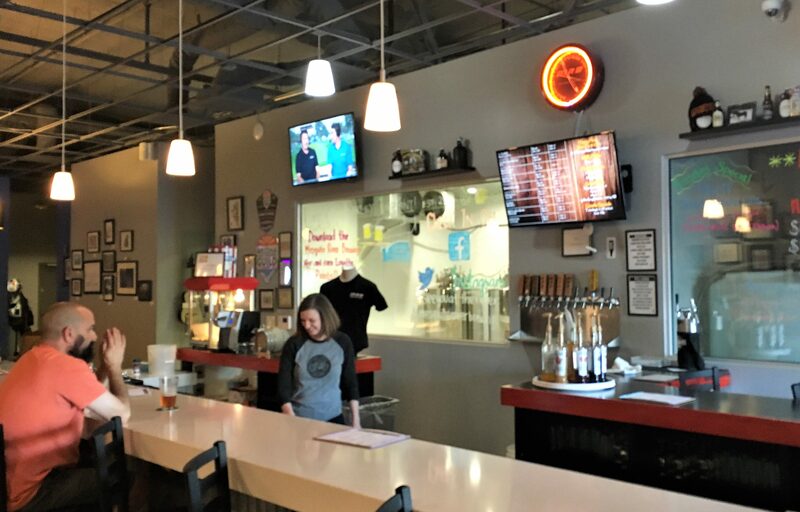 We decided on the way back to the hotel to hit one more brewery – Mesquite River – recommended by a few people, but again this little place that also advertises itself as “Your neighborhood craft brewery,” was in another strip mall and looked like a Petco from the outside. 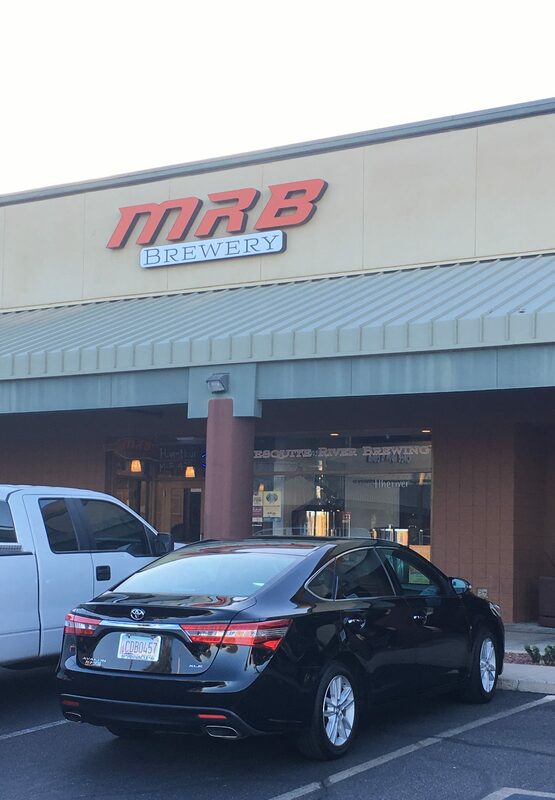 We walked inside MRB just to take a picture, but the combined ambiance of the parking lot and traffic noise argued against stopping and having a pint. 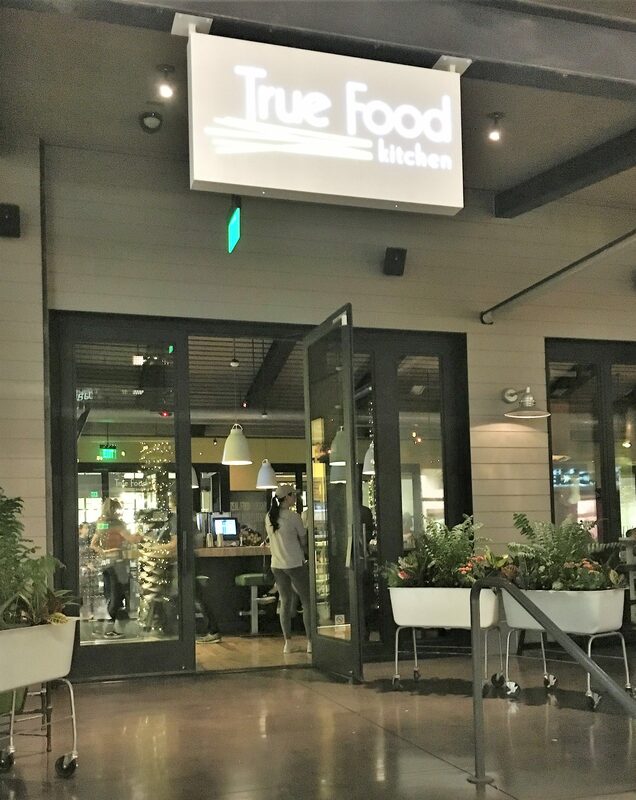 Fortunately, the cell-phone charges I incurred when I inadvertently called a similarly named restaurant in Dublin, Ireland were only a little over $1. I had called at about noon our time and told Janet, that although it was hard to understand the guy because of his accent, they didn’t have any tables left that evening – this seemed odd given the time – until I looked at the call record and saw “Dublin.” I then tried to figure out whether the guy just had a brogue or was speaking Gaelic…. 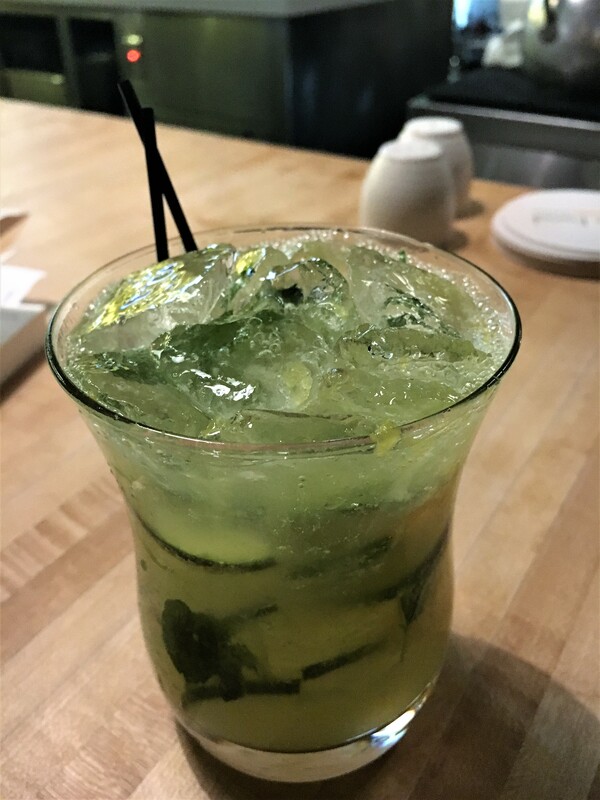 A great restaurant without having to travel internationally…. Earlier in the post I mentioned politics and the legacy of Barry Goldwater. 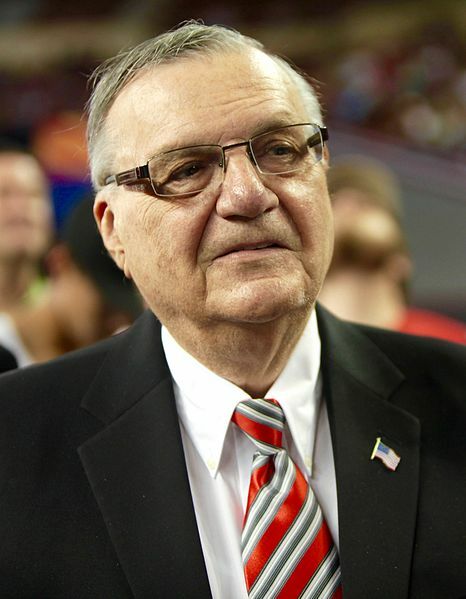 Arizona evidently does not see the same level of integrity in its latest candidate for the Republican nomination for the US Senate – former Maricopa County Sheriff Joe Arpaio. 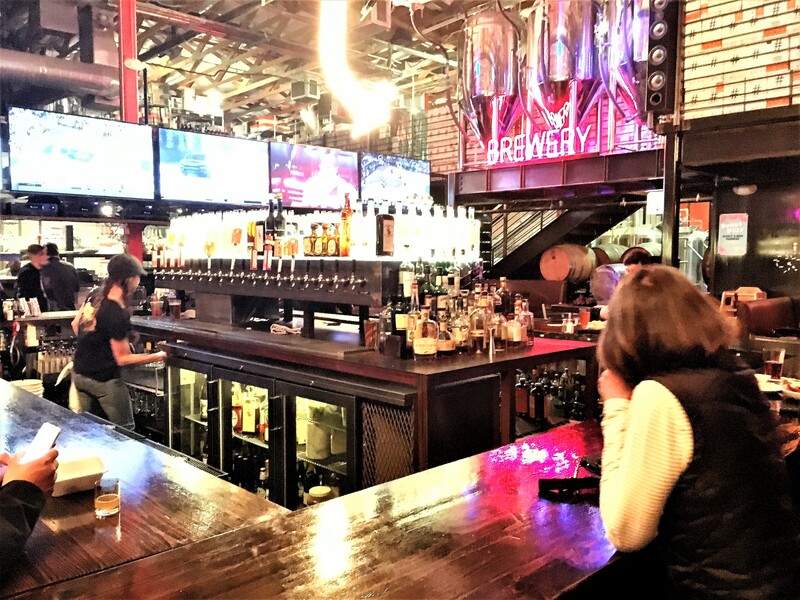 You might remember that the Brewery has a second place to drink sixteen feet below the main taproom – in the space which used to be Mandall’s Basement Shooting Range. Three of the former shooting tunnels are filled with fermentation tanks! Oh well. 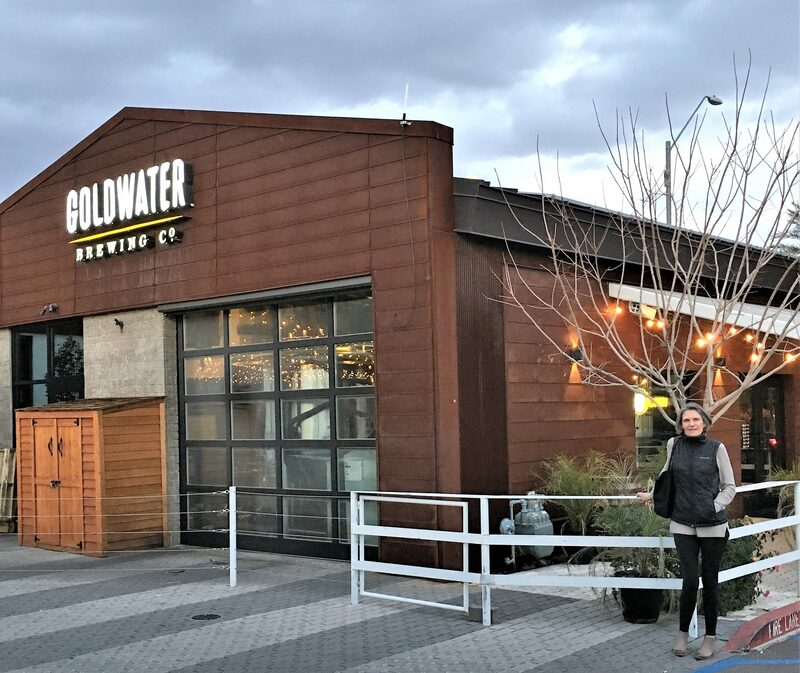 Notwithstanding some of its politics, the landscape and urban planning, by visiting the Phoenix-Scottsdale area, you can (if the right time of year) get some nice weather, take some good hikes and drink some excellent beer in interesting breweries – many of which have only opened in the last several years. And you’ll be happy to return to your home afterwards – unless it’s Newark!